Whether or not you actually plan to get ink done, fantasizing about possible tattoo designs is pretty dang fun. And it’s just as fun to see what celebrities have on their own skin. 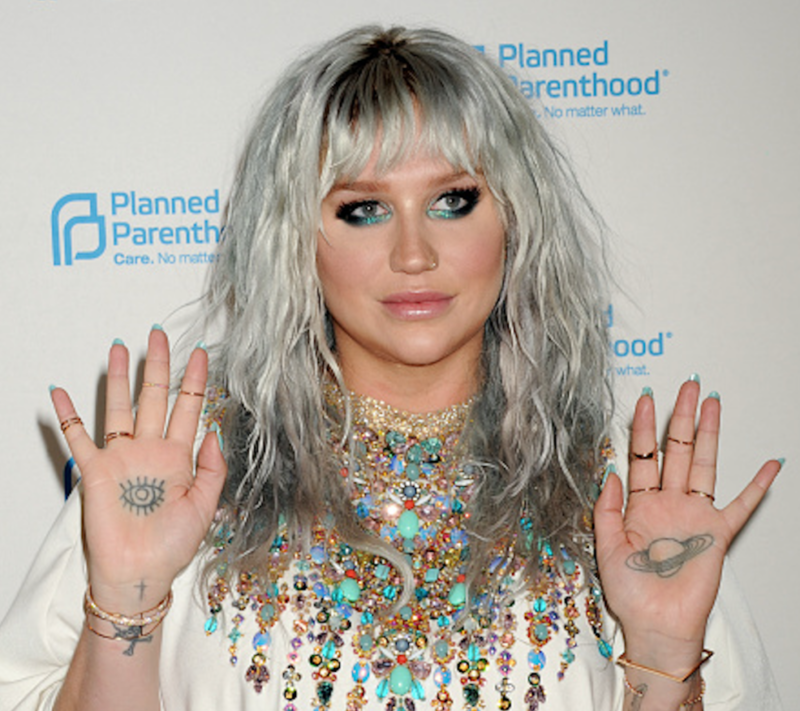 Case in point: Kesha just got the coolest tattoo, and it’s giving us major goth Lisa Frank vibes, not to mention inspiring us to start re-thinking our own ink choices. The tattoo is a skull with a rainbow coming out if its head, and it features turquoise, orange, and pink hues. We love Kesha’s bold style: It’s colorful, a little bit old-school, plenty rock-and-roll, and definitely unlike any other celebrity’s. And that whole point of a tattoo is to customize your canvas, aka your flesh, so it makes sense that this new one so accurately reflects the colorful and kooky world of Kesha. After all, this could have just been a regular skull. But nope! It’s a Kesha skull, complete with a rainbow and turquoise eyes. And the fact her significant other got a matching tattoo just makes it even cuter. If you pay close attention, you’ll even notice her tattoo matches her (amazing) nails. That’s a level of commitment we strive for in our outfits and our lives. Of course, Kesha nailed it perfectly. We can’t wait to (hopefully) see more of the ink she gets!